Waterworks 1869/74: Overprinted "W." in black, on 2 d. deep orange DLR, wmk. 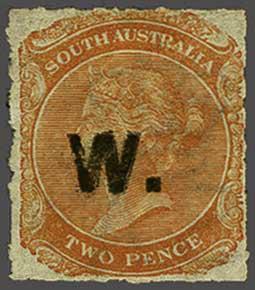 Crown / wide SA reversed, rouletted, an unused example of good colour, closed tear at upper left, large part og. Butler 3R. Cert. 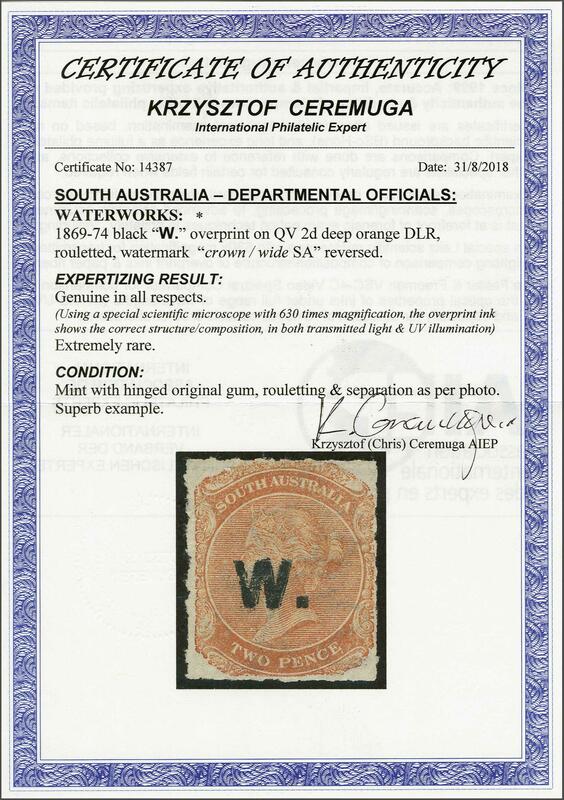 Ceremuga (2018).rnrnProvenance: Collection Col. H. Napier, RL, Basel, 26 Sept 1979, lot 532.rnNote: Illustrated in 'The Departmental Stamps of South Australia' by A. Ron Butler on page 151.